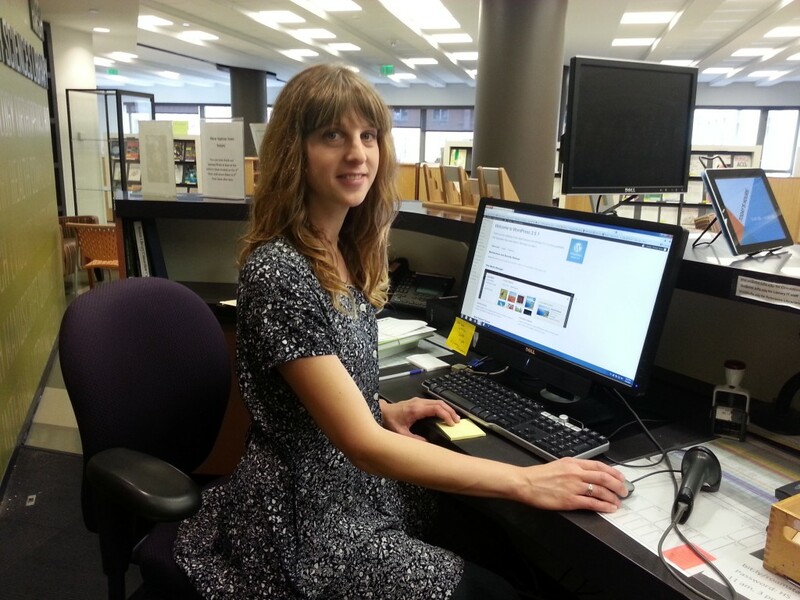 Currently viewing the tag: "library staff"
Goodbye and Good Luck to Becky Philio! Say it ain’t so! Becky Philio, our Library Reference Assistant, will be leaving us this Friday, August 21st to enroll full-time in the bookbinding program at the North Bennet Street School. For the past two years, Becky has been a friendly face at the Library Service Desk, our staff photographer, and an active member of our PR Committee. Becky is also responsible for all of our library videos. Her ability to direct a motley crew of skeletons and puppets is unmatched. She made one last video for us, which will be posted on Thursday–stay tuned! We wish her all the best as she embarks upon the next phase of her career. She’ll be greatly missed, but we know she’s going on to do great things! Exciting news about your favorite HHSL band! As a result of fans’ overwhelming support during the Battle of the HSL Bands, the exhilarating March 17th performance of our own Jumbo Go Bragh has captured the attention of the Irish Government and, along with it, an official commendation for their nuanced rendition of a traditional tune. These accolades have led to several invitations for the group to perform at various awards shows, including the Tonys, the MTV VMAs, the Teen Choice Awards, and the J.Q. Adams Elementary School’s Centennial Jamboree. The group also plans to audition for the next season of The Voice at the end of the summer. Join us in welcoming Stephen Gabrielson to the library! We have a new part-time Circulation Assistant! We’d like to welcome Stephen Gabrielson, who has made the trek all the way from sunny California. Along with working in the library, he has recently started the MLIS program at Simmons and will be focusing on art librarianship/digital humanities. His previous degree was in art history. He is also interning at the JFK library. 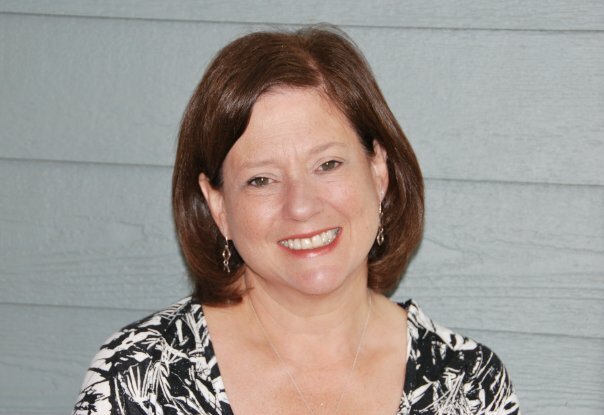 Welcome Becky Philio, Library Reference Assistant! 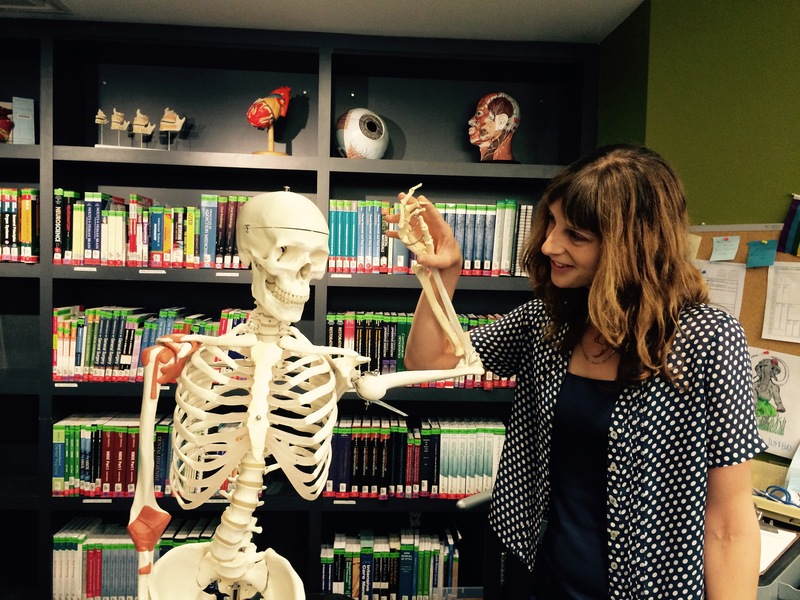 We here at Hirsh would like to extend a big “Hello!” to the newest member of our family: Becky Philio, our new Library Reference Assistant! Becky comes to us from Boston University, with a degree in Information Management and Preservation from the University of Glasgow, Scotland. 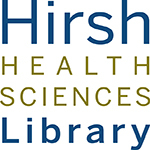 Here at Hirsh she’ll be running the Reserve collection, but she also has a strong interest in archiving, particularly with digital collections. She also is a photography volunteer for the Nave Gallery of Somerville, and has been recruited as the photographer here at our library. Becky will be working Mondays, Tuesdays, and Thursday – Saturday, so feel free to come say hi! 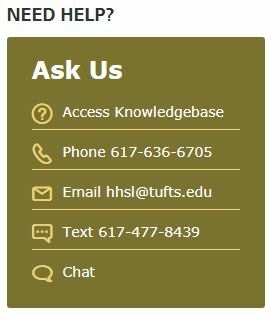 If you have any questions for her regarding the library as a whole or our Reserves collection in particular, she can be reached at rebecca.philio@tufts.edu, or at 617.636.2454. Welcome, Becky. It’s good to have you here! This July, two of the members of HHSL will be presenting a research poster at the American Library Association Annual Conference in Chicago, Illinois, and we are excited for them to have this opportunity! They’ll be presenting on Sunday, July 1, from 1:30-2:00 pm. Good luck to them both! 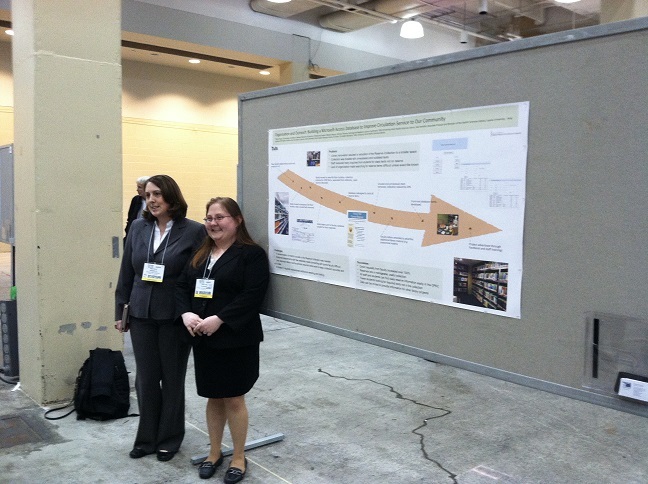 Current and Past Library Staff Present Posters at the National Medical Library Association Annual Conference! 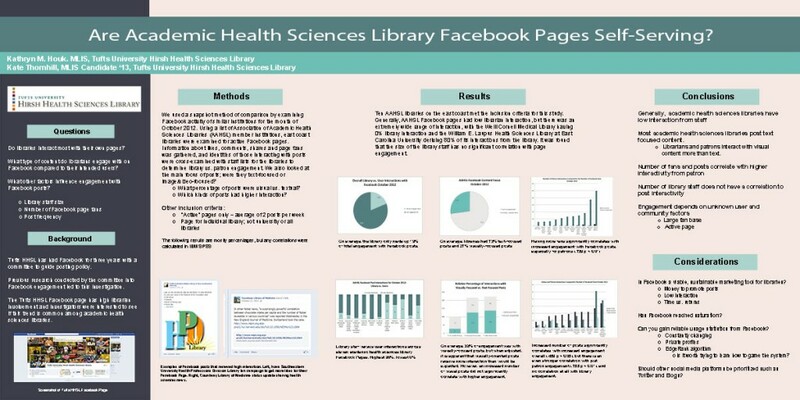 Congratulations to Research and Information Services Librarian, Katie Houk, and past employees Melissa Theroux and Tiffany Tawzer on their poster presentations this past Sunday at the National Medical Library Association Meeting in Boston. 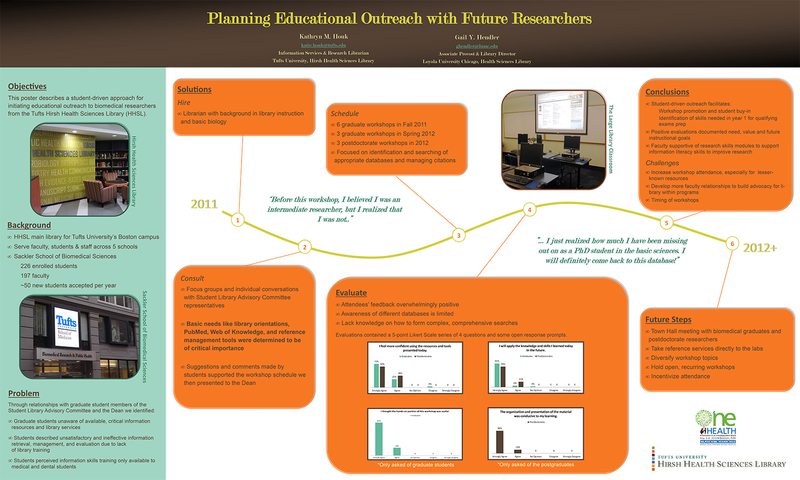 Their posters focused on planning outreach and instruction for future researchers on the Boston campus and improving the HHSL reserve collection. Great job ladies! We’re happy to announce that Eli Zoller has accepted a Fellowship in Systems Librarianship at the University of Texas Arlington! In the new position Eli will be responsible for technical leadership and innovative digital initiatives. Congrats Eli! We’re going to miss you! 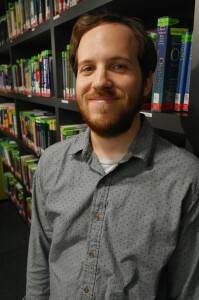 Welcome Tom, Evening/Weekend Library Coordinator! 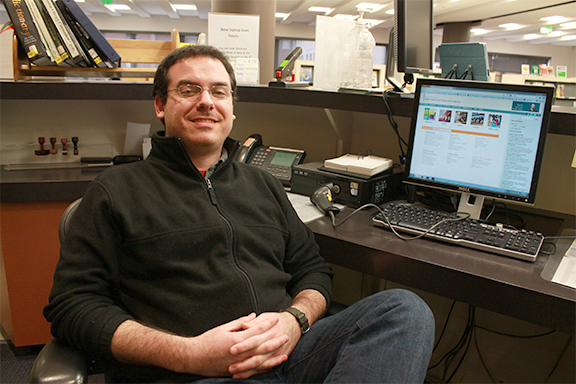 Say Hello to the library’s new Evening/Weekend Library Coordinator, Tom Quinn! He’s the night owl of the Library Service Desk. You can find him at the desk from 12-8p on Sundays and 3-11p Monday through Thursday, ready to help you find your post-dinner articles, books, and even skulls. 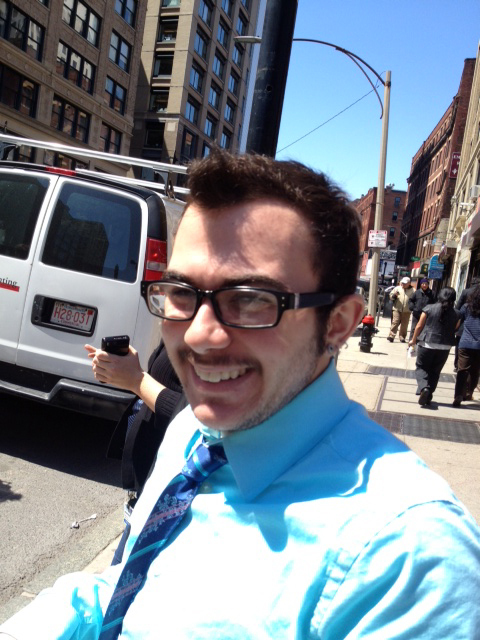 You can also always reach him at thomas.quinn@tufts.edu, or at 617.636.0421.